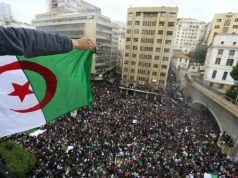 Warnings from the army and promises from the interim president did not stop Algerians from taking to the streets for the eight week in a row. Rabat – The appointment of an interim president on Tuesday has not calmed the protest fervor in Algeria, with thousands calling for a new wave of anti-government protests. Determined to witness a radical power shift on the country’s political scene, Algerians are calling for more protests to contest the appointment of Interim President Abdelkader Bensalah, seen as a loyal ally of former President Abdelaziz Bouteflika. 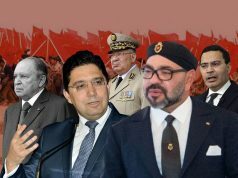 On social media, a number of Algerians are calling for more demonstrations against the regime. 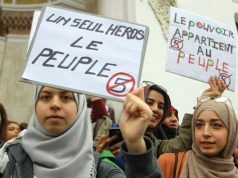 “Leave means leave,” is among the most popular slogans shared, retweeted and posted on Algerian social media. Protesters see Bensalah’s appointment as an extension of the old regime, and they have Algerians promised to continue taking to the streets to vent their frustration until they help the country get rid of“the same faces” that have governed for two decades under Bouteflika. If you think we are going to stop now,think again because we just started 🇩🇿🇩🇿🇩🇿. “If you think we are going to stop now, think again because we just started. 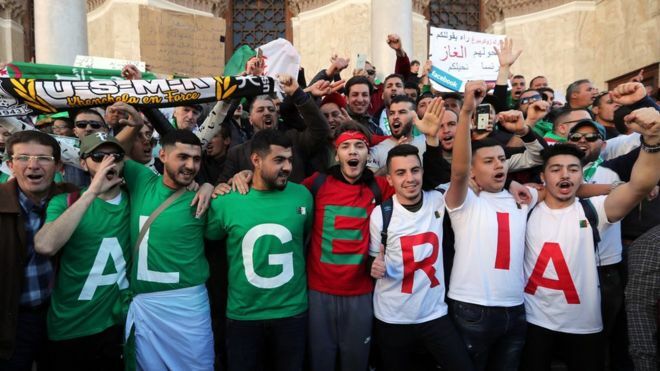 My Algeria don’t you worry; this time victory will be ours,” tweeted one of the protesters. 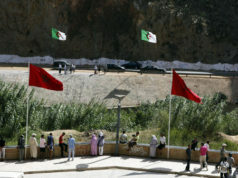 Algeria’s Bensalah announced on Wednesday that the election, which was planned for April 18 will take place on July 4, a transition period of 84 days after Bouteflika’s resignation. After his appointment on Tuesday by the Parliament, the interim president said that the election will be free and transparent. 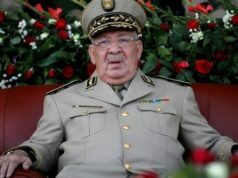 Bensalah is said to have the support of the army, especially the Algerian senior army chief Gaid Salah, who has warned Algerians against further protests. During the protests against the appointment of Bensalah, police dispersed protesters using water cannons. Salah warned protesters over “unrealistic slogans” chanted during the protests. 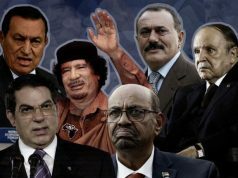 He also said that there are “foreign” hands that seek to incite people against the stability and security of Algeria as it faces a post-Bouteflika crisis.